24" Assembled Dock Light with LED Light Head. Optional fan available. Power Cord: 5' long, 18/3 SJTW Cordset, with NEMA 5-15P Plug. Switch: On/Off Switch is included with all dock units. Wire Guard: Wire Guard is included with all dock light units. Finish: Arms & Shade - Chip resistant yellow and black powder coated finish for high visibility & durability. Compliances: UL/C-UL Listed E167736 (Suitable for dry locations). Modular Arm: 1 1/2", 14-gauge, square steel tubing; 24". 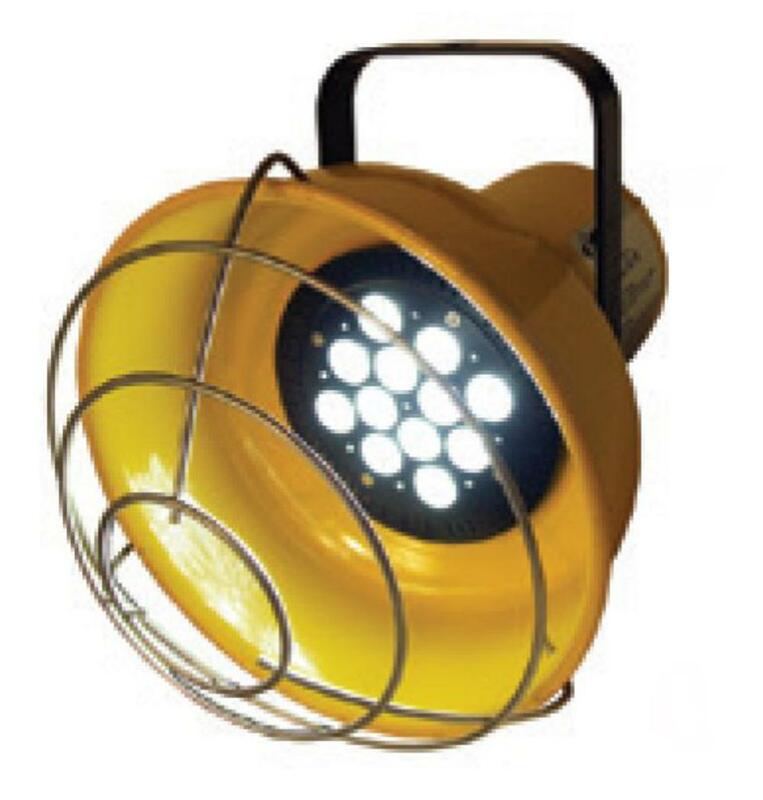 Light head will swivel 300 degrees, all swivel joints use nylon and steel washers for long wear and smooth operation. Mounting Bracket: 1/8" thick steel bracket, with four (4) mounting holes to accept 3/8" bolts (not supplied).